The number of traffic deaths in Lee County soared higher than at any point in a decade – and more than 10 percent in just a single year. That’s according to the latest report from The New-Press, which as of Jan. 1st still only had numbers through early December 2016. There were more than 100 deaths by that time, which is the first time they went over that mark since 2007. And actually, the early 2016 figure was slightly higher – 109 compared to the 106 counted in 2007. There were 121 in 2006 and 150 in 2005. But the numbers had been steady falling the last ten years. The number of Lee County roadway deaths dipped to the lowest point in 2012, when there were 64 who lost their lives on our roadways. These figures fail to take into account the hundreds of more people who were seriously injured – sometimes permanently – as a result of careless drivers in Southwest Florida. Statewide, the news agency reported there were 3,161 traffic deaths as of Dec. 30th. That marked an increase of 222 over the previous year – and didn’t include figures from the notoriously perilous New Year’s Eve. On a national scale, we know that traffic deaths have been inching upward. The National Highway Traffic Safety Administration (NHTSA) reports there were 2,348 more deadly car accidents in 2015 than in 2014. Percentage-wise, that’s an uptick of 7.2 percent. 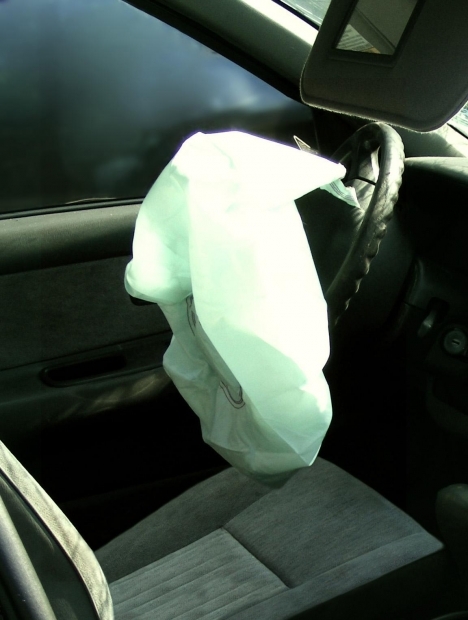 The 10-year high there also occurred in 2006, when there were 56 fatal motor vehicle accidents. Law enforcement officials and road safety advocates say there are a number of factors coming into play here. Crowded roads were a big problem, especially here in Southwest Florida. Although the improved economy has been a good thing for many industries here – especially tourism – it has also meant there has been an increase in traffic. More people on the road means a greater risk of accidents. The other factor that can’t be overlooked is distraction. A study by the Pew Research Center in February 2016 reported that 89 percent of adults in the U.S. use the internet at least occasionally or report owning a smartphone. Seventy-two percent of American adults report owning a smartphone. That figure has crept up steadily just in the last few years, and the impact of this on driving cannot be underestimated. Add to that the fact that we have vehicles that are increasingly manufactured with “infotainment” centers that cater to all our navigation, entertainment and comfort needs. Some will argue these are great features, but there is no denying they can also be a distraction. We are also seeing that laws that were supposed to cut down on distraction, such as Florida’s F.S. 316.305, are not having the desired effect. Some lawmakers have proposed a bill that would toughen Florida’s texting-while-driving ban, making it a primary offense and increasing the fine, which is currently at $35 for a first-time offense. That would be a start. Another issue, particularly here in South Florida, is the risk to bicyclists and pedestrians. A founding member of BikeWalkLee, a coalition that advocates for bicyclists and pedestrians in Lee County, drivers have to do a better job of watching out for these vulnerable road users. Most of our roads were not designed for them to be safely used by anyone other than those in cars and trucks. Although there are some efforts underway to change that, drivers need to be more mindful of the presence – and rights – of bicyclists and pedestrians.